Anyone interested in the art of gig photography should enjoy Greg Neate’s free exhibition, currently running at Hove’s Old Market. It’ll particularly appeal to fans of the All Tomorrow’s Parties festival, who can enjoy misty-eyed reminiscences of its Camber Sands halcyon days, captured largely on beautiful, high-contrast black and white film. 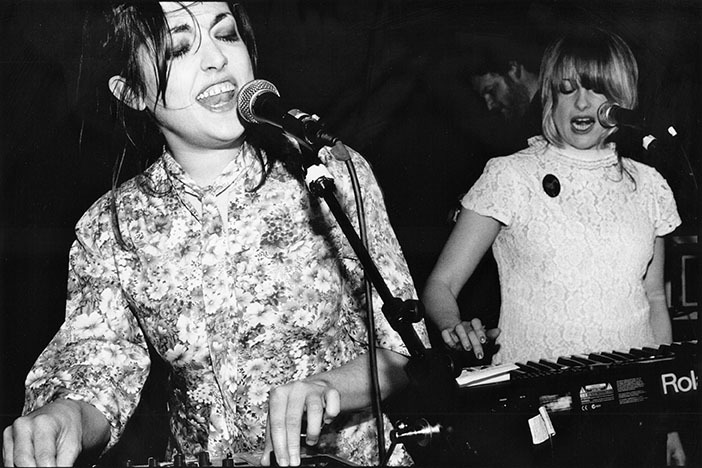 The likes of Public Enemy, Shellac, Mogwai and Lightning Bolt feature, while the main bar hosts a parallel retrospective of local bands including shots of Shrag (pictured above) and Blood Red Shoes. There is one snag: the venue’s not open at weekends, although you can drop in after 7pm on Saturdays if it’s open for a public event (check here). Otherwise, it’ll have to be box office hours; that’s 1-5pm Mon-Fri.